One of the mistakes that I often see beginners making alongside the selection of racquets is the wrong grip size. While most people will learn to just accept the grip size as it is, it may end up causing them long term elbow and shoulder damage. Tennis is a sport which should be enjoyed and not suffered for. You can struggle and learn the game, but getting injured because of it is going to be extremely demoralizing. Tennis has been made this rare sport that only a select few can learn and get enjoyment out of. It shouldn’t have to be this way in the slightest. Jumping head-on into the sport with knowing a few things are probably going to be your best bet. Picking the right racquet, the shoes, apparel, and a partner is more than enough to get you started. I list everything you need in The Things You Need for Tennis Post. I didn’t get to talk about grip size in that one because it needed its own space. Tennis players come in all shapes and sizes, some might have a bigger hand, some might have a smaller hand, and some might just be in the middle. What I’ve learned over the years is that having a hand size just in the middle is probably the best thing that can ever happen to a tennis player. But it shouldn’t discourage people that are on the extreme sides of the spectrum, companies have figured this out and they produce a lot of different grip sizes. Most racquets are sold at the 4 ⅜ point and in fact, I think that’s the sweet spot for most people. When I was growing up (16-17) I preferred 4 ¼ but my play style changed and I made the switch to 4 ⅜.
I’ll explain below how using different grip sizes can alter your playstyle, but if you don’t want to get into too much detail I’ll give you the simple explanation. A bigger stick is less maneuverable, and it is used to have a stable flat game. A smaller stick is used by players who prefer a more topspin oriented game style. How do I know my tennis racket grip size? It used to be a little hard to measure grip sizes because people didn’t know how to. These days you can find countless videos on Youtube, that tell you more or less the same thing. 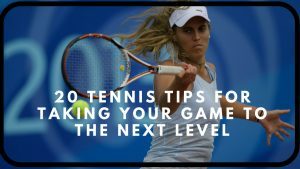 The folks over at Pro Tennis tips explain it wonderfully. There are basically two ways to measuring your grip size. Trying to show directions with words is kinda hard, so I just prefer video. The video tells both the methods of figuring out your grip size. Be warned though, don’t take everything as gospel. Grip sizes are always a personal preference, as long as you don’t go too overboard with the measurements you’ll have a great time with your new racquet. Another question that is asked a lot is, Why do I need to do all this? Does changing the grip really make that much of a difference? I have a really small grip size, but I play just fine. Well, let’s tackle these, one by one. How does grip size effect tennis? The general guideline when it comes to grip sizes is that if you can fit the index finger of your non-dominant hand between the space of your palm and fingers when you form the grip, you have an adequate grip size that doesn’t need too much fiddling. If you can’t fit your finger or you can squeeze the grip, then you put pressure on your wrist, that puts pressure on your elbow and that can cause cases of tendonitis. Surely, you don’t want that when you are learning tennis. Having a grip size that is very small compared to your hand size is a huge no go. You can definitely play with a smaller grip size because it increases the handling of the racquet. 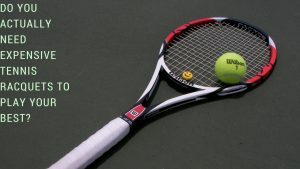 A lot of professional players play with racquets that are little smaller than their grip size, and the reason is simple. The smaller the grip size the easier it is to move around and hit the ball according to how you want it to. Roger Federer uses a grip size of L3 which is 4 3/8 and it makes his ball thrive with topspin and power because it is on the middle end of the spectrum. Rafael Nadal, the King of Spin uses a grip size of L2 which 4 ¼. This is a grip size I wouldn’t use because I need some stability in my stick but Nadal handles it wonderfully with his wrist power and racquet head speed. In the olden times when racquets were a little heavier, players wouldn’t even have thought of using grip sizes of today. Racquets had a lot of mass to them, and if you had a small grip size, it would make holding the racquet extremely difficult. Times change, the game changed and I think for the better. Topspin and speed is the name of the game in today’s market. There are definitely some players who love a bigger handle, the biggest one being Novak Djokovic. He uses a 4 ⅜ grip with two overgrips on top, which makes it even bigger for my grip size, not to mention a custom mold which is rectangular compared to what Head actually makes for their racquets. Most players that will use a bigger grip size like Djokovic are what I call wall players. What I mean by wall players is that they feed off of other players’ spin and power and add their own punch to it. Djokovic is not called the wall for nothing, he is the best returner in the game by far. He has made returns to some of the heaviest hit balls from Rafael Nadal. But it is a riskier playstyle as you hit a flatter ball because the racquet doesn’t want to move too much. It also makes the ball closer to the net, harder to hit because of the same issue, the racquet doesn’t like to move too much. With the little sciency bit out of the way, let’s get to solving some questions in regards to grip sizes. This is the most commonly asked question, so let’s get this one done and dusted. It actually happened to me when I was tinkering around with my playstyle — racquet changes happen quite a lot to me. I don’t know why but I always like to experiment, and when you have a father who loves to hoard tennis racquets, you can definitely try your fair share of them. I measured my hand size to in between 4 ⅜ to 4 ¼ , I wanted to try the 4 ⅜ style but it felt a little too big for me. So, I did what seemed reasonable, I went with a 4 ¼ because I read on a lot of tennis websites and some videos that generally go with something the smaller. The main reason for doing it is pretty simple, making a grip handle bigger is not a problem. It becomes a problem when you have to make it smaller, which is pretty much impossible for the common tennis player unless you have a full woodworking background and the tools with you. Making grip sizes bigger is as simple as slapping on a few overgrips on top or if you are feeling a little technical, using a heat shrink sleeve to give it a professional outlook. If you want to try it out, You’ll need a heat gun/a kitchen stove, a heat shrink sleeve, a cutter, and some finesse. This video goes over the installation process. Keep some things in mind though, I would generally stay away from this method as it increases the mass of the racquet, quite a bit. Unless you know what you are doing and can maintain the balance of the racquet by counter weighing it from the other side, for which if you need I have a post too. Should you customize your racquet if you are a beginner? Well, that involves two things — If you are feeling kinda adventurous like I was. Or if you feel like you might break something and you are a beginner, shouldn’t you be focusing on learning the game first? I would go with the other rational statement because it does make the most sense. Learning tennis, basic technique is way more enjoyable than tinkering with weight of the racquet. It might not even be very fruitful as you don’t know what you are doing. But let me not stop you from attempting to if you really want to, at the end of the day as long as you don’t strike the racquet with a hammer, there is very little chance that you’ll destroy the racquet. What does l1 l2 l3 mean on a tennis racquet? Sometimes when you go onto different vendor websites, depending on if they are European or not, they will have something different for grip sizes like L1, L2, L3. No need to be surprised, they are very easy to figure out. As L1 is 4 ⅛, L2 is 4 ¼, and so on. Wouldn’t it have been super easy if all companies just used one standard and we would have an easier time buying and selling racquets? But what is done is done, it’s just as easy to learn the measurement scheme. This ends the All you can learn about grips on racquets, if you would like to know about what different types of grips are put on the racquet, then you can visit my Overgrips vs Replacement Grips guide. Do You Actually Need Expensive Tennis Racquets To Play Your Best? Best Tennis Racquet Grips for Sweaty Hands or Humid Weather. Can You Prolong the Life of Your Tennis Strings?